nice people STAMP! 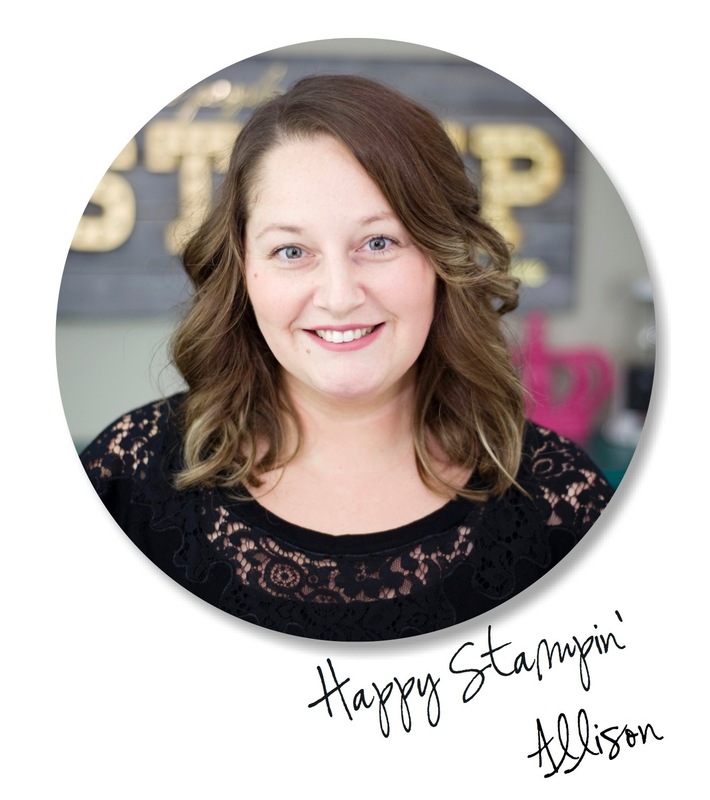 - Stampin' Up! 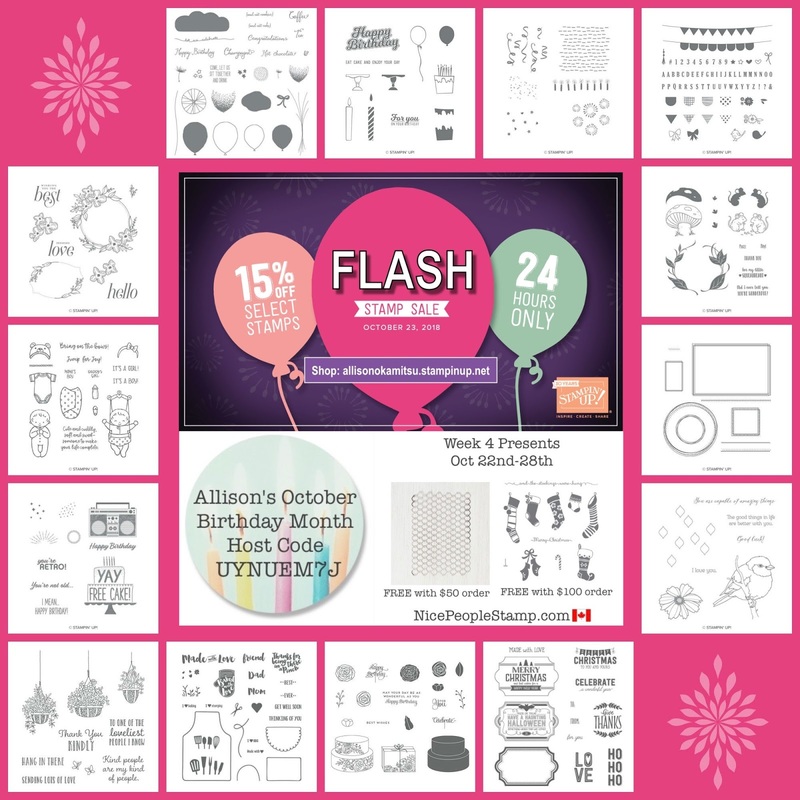 Canada: FLASH SALE - 15% off a large selection of stamps! 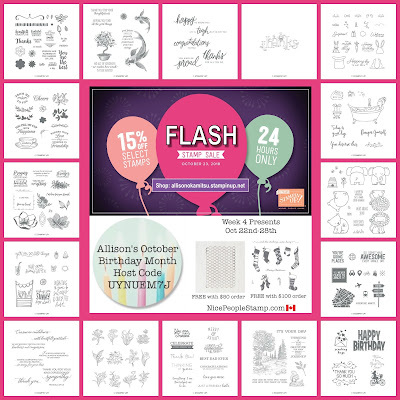 FLASH SALE - 15% off a large selection of stamps! It's FLASH SALE time stampers! Both Stampin' Up! and I are celebrating our birthday this month, which means there's not only a sale from Stampin' Up!, but a bonus offer from me! Woo hoo! Bring on the double dipping! TODAY ONLY - Tuesday, October 23rd - for 24 hours only! Select stamp sets are 15% off! AND you can combine this with my Birthday Month promotion to get FREE PRESENTS with your order! 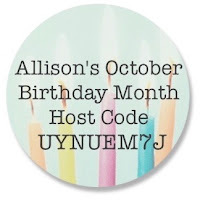 To earn your free Week 4 present(s) simply place an order in my online store using the host code: UYNUEM7J. Place an order of $50 and receive the Chicken Wire Elements. Place an order of $100 and receive the Hung With Care Clear Mount HOST Stamp Set. Place an order of $150 and receive BOTH PRESENTS! 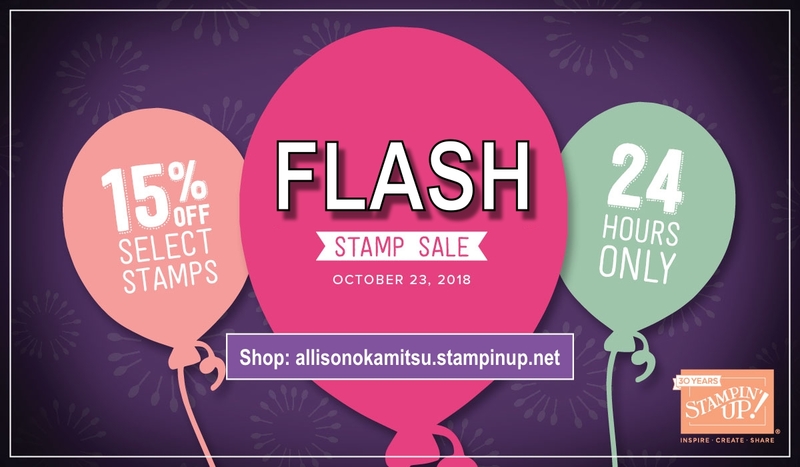 Remember, the flash sale ends tonight at midnight, so don't wait to place your order for your sale stamps and qualify for my FREE PRESENTS!